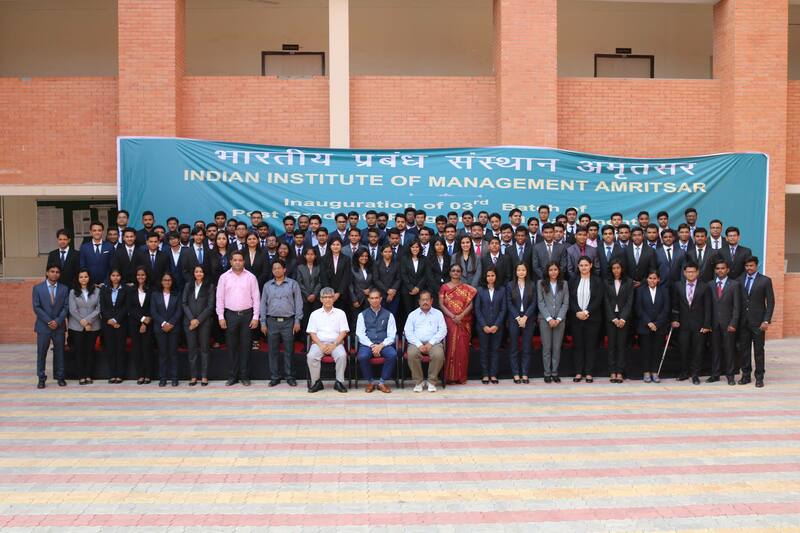 IIM Amritsar conducted a Guest lecture for the PGPM students on 27th July 2017. Mr. Kamal Kumar, Senior General Manager, Dhanuka Agritech Limited was the guest speaker. Mr. Kamal who is an alumnus of FMS Delhi holds 44 years of experience in Sales and Marketing in diverse portfolios. He gave an enriching, informative and detailed presentation on both the opportunities and challenges of the Agritech sector in India. During the session, Mr. Kumar accentuated on how advertising plays an essential role in reaching out to the customer, especially when the customer base lies in the rural part of India. Giving references from Rig-Veda, he highlighted the importance of the “Value System” in shaping an organization and society holistically. He stressed on the desideratum of research and its implementation in agriculture which may make India the bellwether in agricultural produce and thus contribute a more preponderant share in overall GDP of the country. His talk gave an absolutely different insight to the students and inspired all to grab the plethora of opportunities available in this sector.